If you do any significant web development you will have probably seen this error messages, which generally means you will be able to open the project. 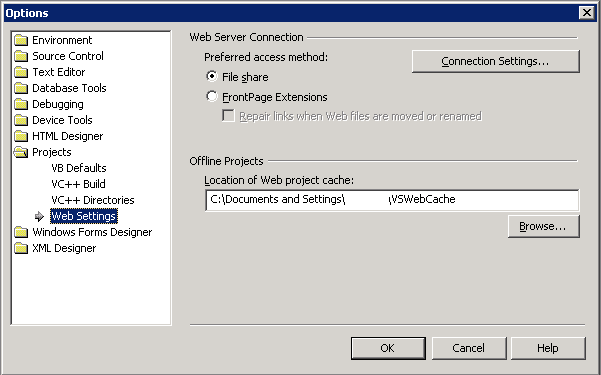 After seeing this error message this generally means that the VSWebCache (a folder that is found in C:\Documents and Settings\user.name\VSWebCache) is out of synch and the best thing to do is simply delete it. After going to this folder I simply could not find VSWebCache. Up until today I thought this folder was found in documents and settings by default but this is actually controlled by the following Web Settings.